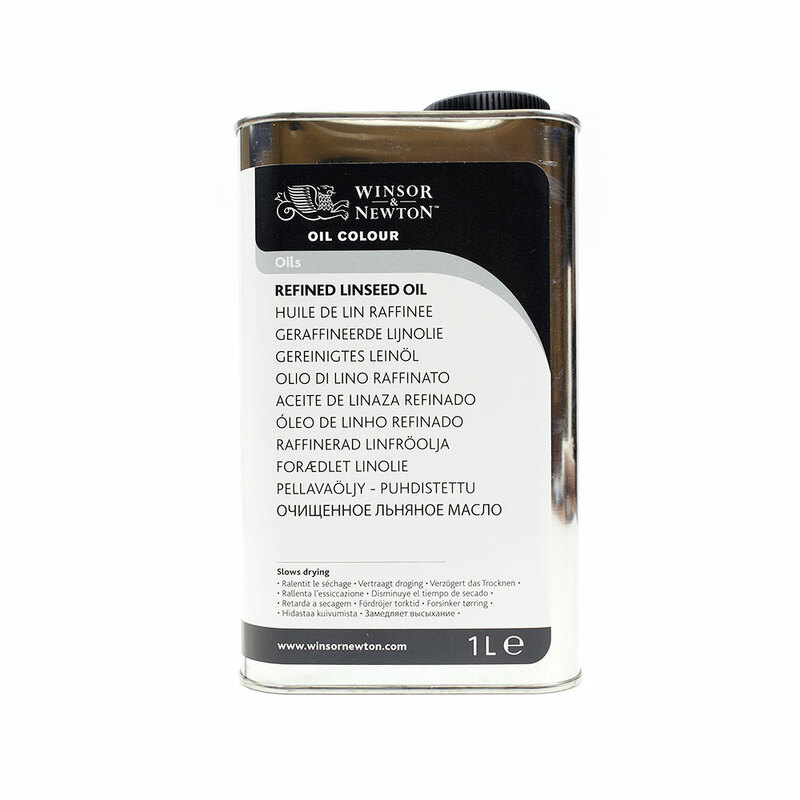 Winsor & Newton Refined Linseed Oil is Winsor's most popular oil. A low viscosity alkali refined oil of pale colour that dries slowly. 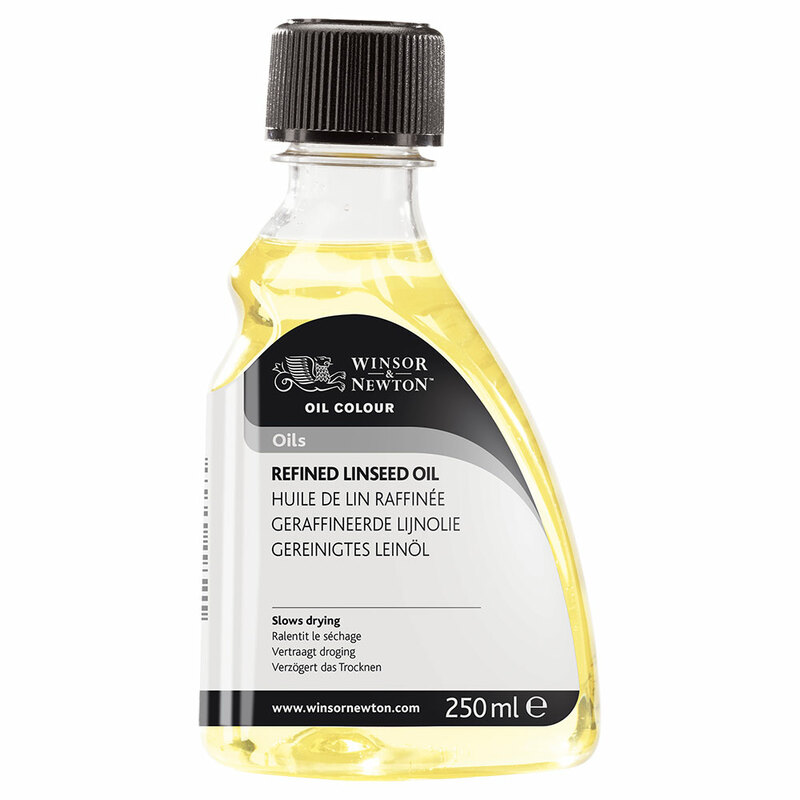 • Reduces oil colour consistency. 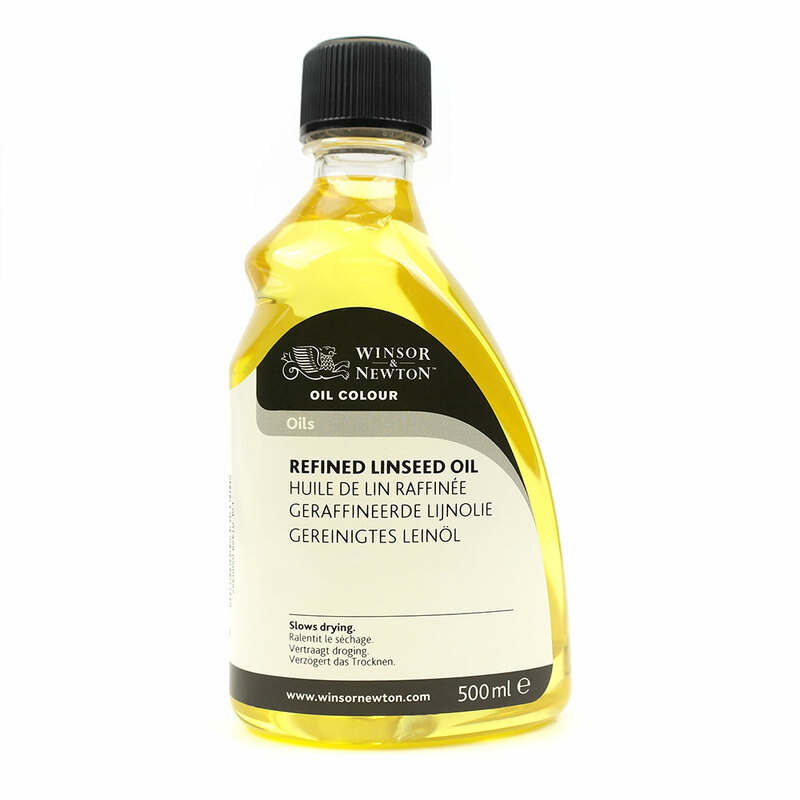 • Increases gloss & transparency. 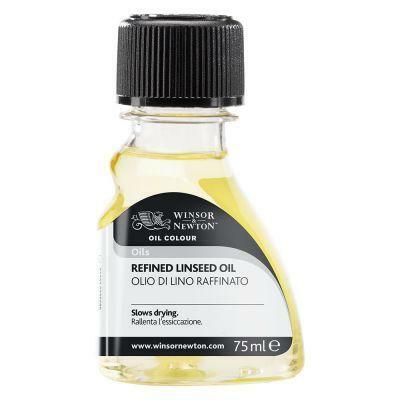 • Add to other oils to slow drying.